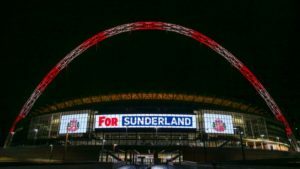 If you were born on May 6 1973 or on any day since then, you will have never experienced the thrill of being on this planet on the day a Sunderland team brought home a trophy from Wembley Stadium, writes Malcolm Dawson, Salut! Sunderland‘s deputy editor. 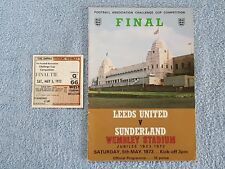 All of your regular contributors to this website remember our last successful visit to the National Stadium and will be hoping for a second on Sunday but not all were lucky enough to get a ticket to see the underdogs in red and white defeat the might that was Don Revie’s Leeds United. 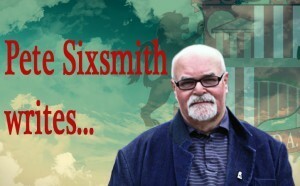 Pete Sixsmith was. The Checkatrade Trophy may not be the FA Cup, but 80,000 fans of Sunderland and Portsmouth will make this a special occasion. This competition might not provoke much excitement in the early rounds, but the demand for tickets from both the south and north east coasts shows that a visit to Wembley and the chance of silverware is still a big draw and a day to look forward to. Pete will of course be there and each day in the run up to the final, will recall one of his previous visits to Wembley. In today’s offering, he thinks back to what has so far been the greatest day in the life of any Sunderland supporter between the ages of 46 and 82. We move forward 11 years for my second and most satisfactory visit to a Wembley stadium that now had a roof over all the spectator areas. The 11-year-old schoolboy in short trousers, who had first visited what was then the Empire Stadium with his Uncle Ken in 1962, was now a considerably larger 22-year-old on the other side of the teacher’s desk and was first and foremost a Sunderland supporter of 10 years’ vintage. I had abandoned my attempts to win over the County Durham natives to the pleasures of rugby league and in order to fit in, had taken an interest in football. I had started by going to Shildon games, had graduated to regular visits to Darlington’s charming old ground at Feethams and, because of a burgeoning friendship with Monsieur Salut, who back then was a mere garçon, had taken an even greater interest in Sunderland AFC. By the mid 60s I was hooked and began travelling regularly to away games. I did my teacher training in Sunderland in order to watch them and suffered the second relegation in the club’s history in 1970 while still a student. In 1973 I was almost a fully-fledged teacher. I did my probationary year at Broom Cottages Secondary Modern School where a cursory meeting with the then Director of Education, George Metcalfe, saw me fully qualify and I learnt the art of teaching from colleagues like Brian Watts, Peter Scott, Dennis Walker and Ronnie Stewart, with help from students like Stephen “Gus” Hopper, Kel Garbutt, Robert Todd, Billy Robson, Julie Wright and many others. It was a tough year not helped by the team’s form in the first five months which was less than inspiring. Exit Alan Brown, enter Bob Stokoe and the shackles fell off. The turning point came in a largely ignored Third Round replay against Notts County. Over 30,000 turned up that night and we went on to put out Reading, Manchester City, Luton Town and Arsenal – but then you knew that. Not the 9.27 from Sunderland to Kings Cross on 5th May 73 – but not far off. 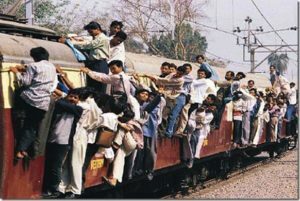 *the scenes on the platform at Sunderland station as trains pulled in and people piled on. Nowadays, Health and Safety would have a dicky fit if they saw scenes like that. *the man who crawled into the luggage rack and slept there all night. Never tried it, don’t think I will. *hordes of bleary eyed Sunderland and fewer Leeds United fans stumbling around the streets of London (with apologies to Ralph McTell). *a torrential downpour before the game started soaking all and sundry. *the goal – 31 minutes. Porterfield. *the save – the header by Trevor Cherry which produced a fine save from Monty. 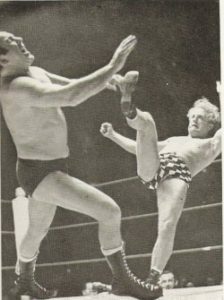 The ball falling to Peter Lorimer. The 40,000 red and whites convinced for a split second that it was going in for the equaliser. Monty’s reactions pushing it on to the bar. A very sharp intake of breath then pandemonium and bouncing on the terraces. 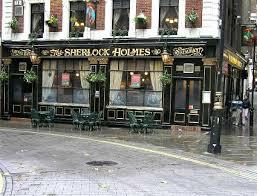 *ordering “three pints of elementary” in the Sherlock Holmes pub and being sneered at by the barman. *spending the entire summer walking round with a huge smile on my face. We neglected to visit Downing Street that day and anyway, Ted Heath, the incumbent Prime Minister, would probably be down at Broadstairs on Morning Cloud while contemplating taking on the NUM. Instead, we availed ourselves of liquid refreshment at 20p a pint (15p at home) which sounds good but my monthly take home pay was £72 or approximately £18 a week. The beer, which was probably brewed by Courage or Whitbreads or Ind Coope or Charringtons, was weak and watery and looked like cold tea. We thirsted for a pint of Samson as dispensed from the barrel in the Albion in Vine Place. The programme cost 15p, the match ticket £1.00 and the train fare £3.50 return on carriages that had last been used when troops arrived back from Dunkirk. No doubt we sang the current hit single Tie A Yellow Ribbon Round The Old Oak Tree by Tony Orlando and Dawn and we probably substituted the words “Tie A Red and White Ribbon Around the FA Cup” for the title riff. Those at home could watch the game on two of the three channels we had then. David Coleman commentated for the BBC with Brian Moore the voice of ITV coverage. Both stations had a long, long build up to the game, with the BBC offering It’s A Cup Final Knockout with Stuart Hall and Eddie Waring (link with 1962 there) and ITV giving us wrestling from Brent Town Hall featuring Mick McManus and Jackie “Mr TV” Pallo plus Giant Haystacks v Big Daddy, all supervised by that old smoothie, Kent Walton. 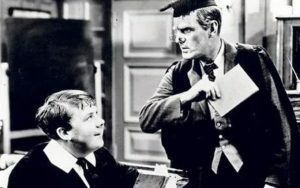 The finest programme of the evening was tucked away at 11.30 when the BBC showed the umpteenth rerun of Sergeant Bilko, still one of the finest comedy shows of all time with characters like Corporals Barbella and Henshaw, Private Duane Doberman, Colonel Hall and Sergeant Rupert Ritzik. Had we possessed a VCR recorder (VHS or Betamax) I would have demanded that my mother tape it. But we didn’t. There will never be another day like it. This fantastic day is etched into my memory. I was only ten and was unable to go to the final but I went to every home match in our superb cup run. I was in the RAF not too far from Wembley at Medmenham. I would have been unable to attend even if in possession of a ticket as I was on a weeks “jankers” (restrictions) due to a previous misdemeanour. I had a red shirt personalised with SAFC in big white letters (no replicas in them days) and took my place in the TV room to witness what everyone predicted would be a heavy defeat. A friend of mine had a ticket – he went as a Leeds supporter but came as a converted Sunderland fan. A great day indeed. 5573 – how many Sunderland fans still use this as their computer password or PIN? That should read “came back as a converted Sunderland fan”. I had moved that year to London, leaving The Northern Echo for the Harrow Observer (Eric, above, lives in what was its circulation area – does the paper still exist?). Sixer tried to get me a ticket but couldn’t. But the sports editor, a drunk called Phil, said he knew the Wembley people so well he could guarantee one. As May 5 approached, I asked him probably daily if it was still on. Up to the Thursday, he assured me it was. Not sure if he was at work on the Friday but our company flat in Uxbridge was above his so I could no doubt collect my ticket after work. His place was empty. Next morning, still empty. I forlornly bought a lot of beer and watched on TV before joining supporters from my home town Shildon – they always ended up at Wealdstone WMC after SAFC games down south. My wife was coming back from shopping when we scored and swears she heard me from 100 yards away down the street. If memory serves me well, Phil and his wife had disappeared, not to be seen again at the flat or the office. Harrow Observer seems to have been absorbed into the Harrow Times, a free rag with not much to recommend it. Wealdstone WMC is also, sadly, defunct – bought by the Council to form part of the new Civic Centre complex. Wealdstone FCs ground is now Tescos. They have moved along with the Social Club to Ruislip and have kindly offered free parking and bar facilities to our fans prior to Sundays match – there was a piece in the Sunderland Echo but I seem to have mislaid it. On a brighter note, I’m watching Jordan Henderson making his 50th England appearance – a reason to be proud. They have offered free parking but ask that anyone who wishes to park there use their facilities – bar and probably a bar b cue or other food which sounds like a decent offer. But they also ask that anyone wishing to park there contact them in advance to reserve a spot so that they can plan for the day and let people know if they are going to be full. should lead anyone wanting to find out more to the right place. Thanks Malcolm. It’s a bit of a trek if you come off the A1 but easy enough to find and direct tube access to and from Wembley. I took the bus from Morpeth… ( in the days when we thought public services were crap, but at least they had capacity to add extra buses and trains ) . Remember my excitement at seeing the gold towers through the rain. Monty and Porterfield rightly get praised but Pitt and Watson were awesome, and Halom ran his socks off, and ran them ragged.